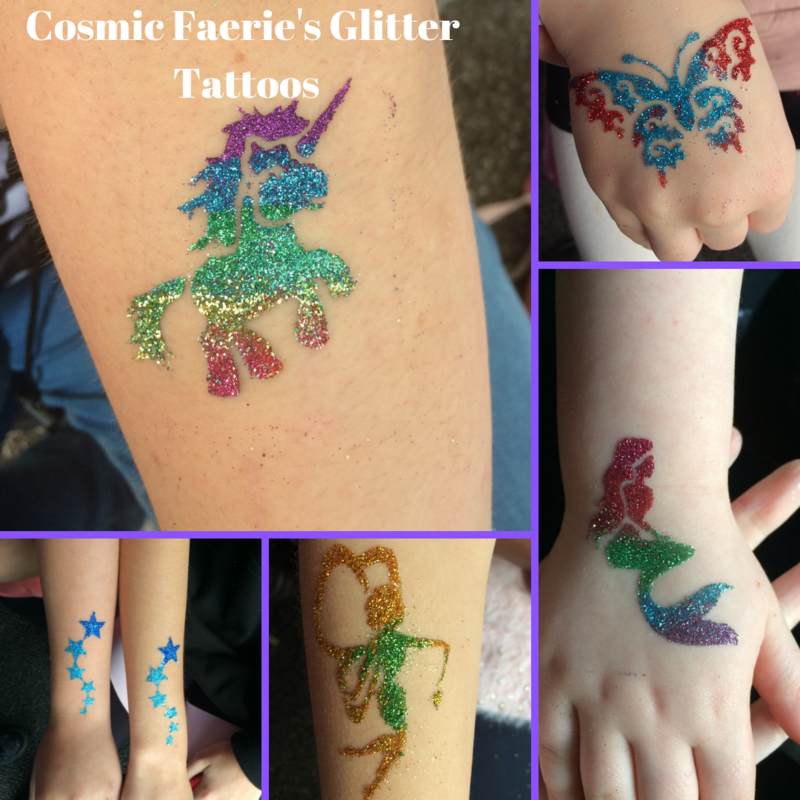 Face painting and glitter tattoos at a 2 hour party £70-80. 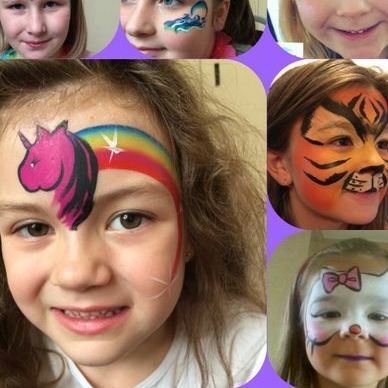 We are a small, independently run, face painting and festival make up service, based in Rugeley, Staffordshire. 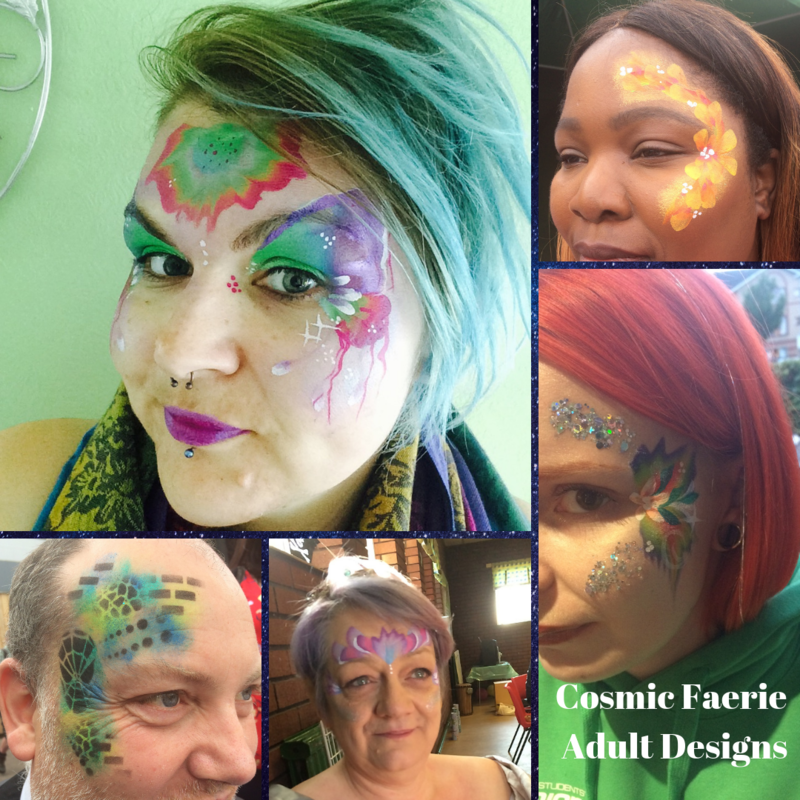 This includes custom made body jewels, festival glitter and henna designs. We are happy to travel to larger festivals, and also cater for parties, fetes and local events. Fully insured and a portfolio on request. 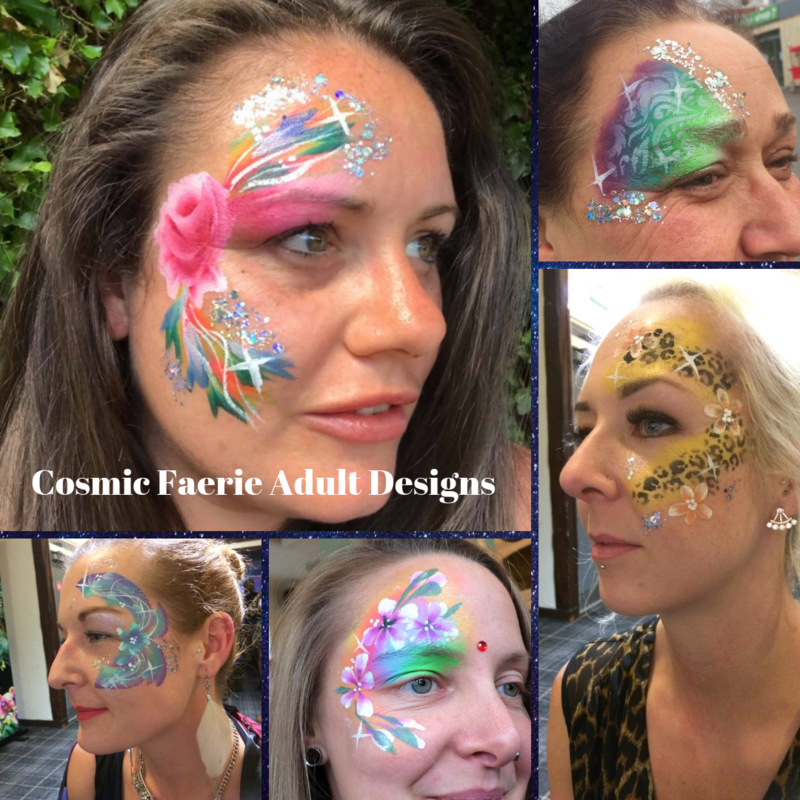 We can only paint and glitter a certain amount of people in a limited amount of time, but if you contact us we can discuss this further. Yes. A copy of our certificate is sent over with a confirmation email and deposit information. 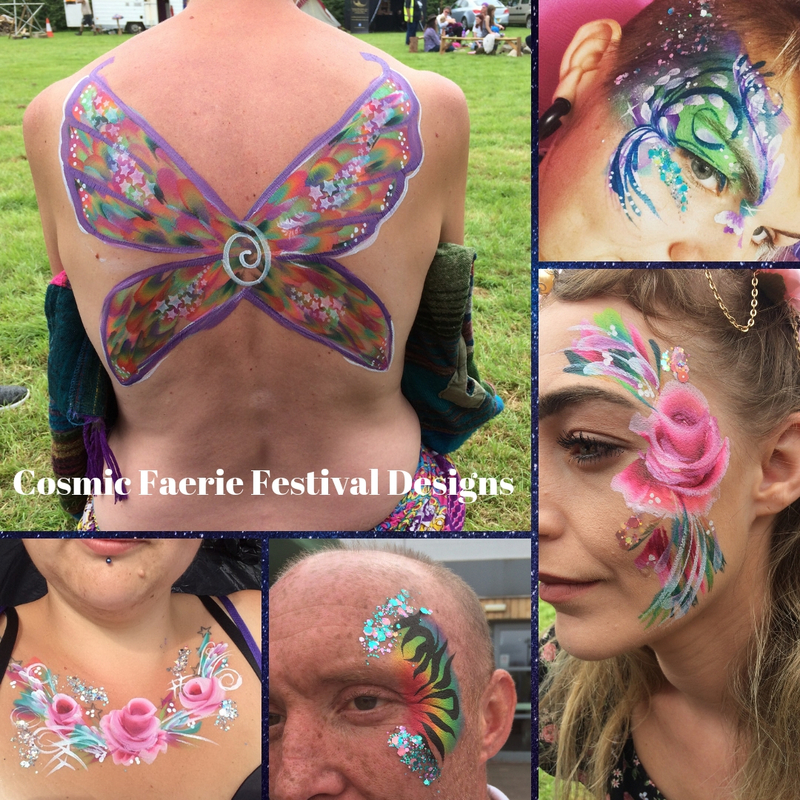 Face painting, glitter tattoos, festival glitter designs, balloon twisting and custom made body jewels.